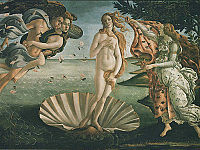 Undoubtedly one of the most attractive room in the whole Uffizi Gallery, displaying two of the most admired and appreciated paintings of all times: The Birth of Venus and The Primavera by Botticelli. 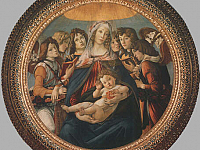 Not only do these paintings witness the refined atmosphere of Florence in the period when they were painted (round 1482-1484), in addition to that, the delicate beauty of the main characters, especially Venus, have certainly become an icon of female beauty. 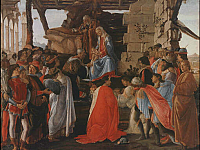 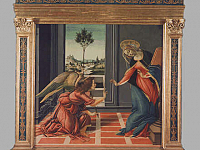 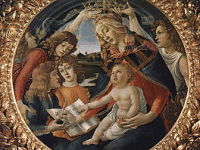 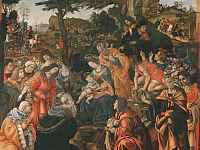 The room also shows many other wonderful paintings by Botticelli, among which, the Adoration of the Magi, where we can easily recognize the portraits of some members of the Medici family and even the portrait of Botticelli himself! 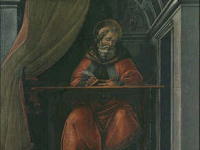 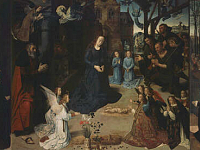 Another huge painting visible in this room is the Portinari Triptych by the Flemish painter Hugo van der Goes. 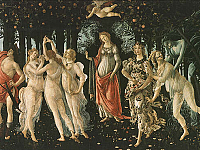 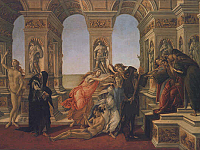 What a change, if compared to Botticelli style! 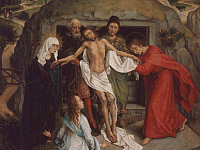 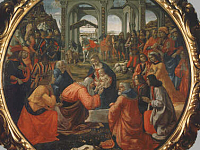 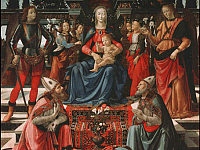 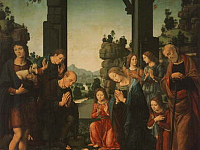 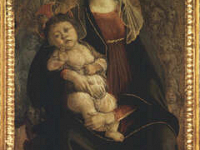 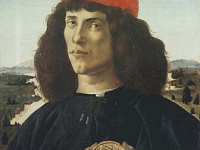 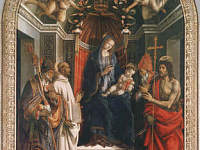 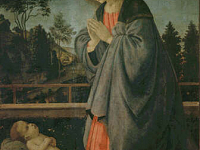 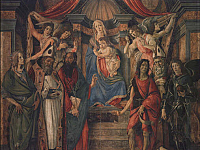 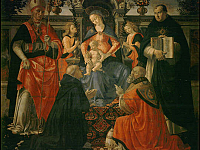 Van der Goes painted it in Bruges around 1474 for the Florentine banker Tommaso Portinari and, when this work of art arrived in Florence in 1483 it deeply impressed the Florentine artists.